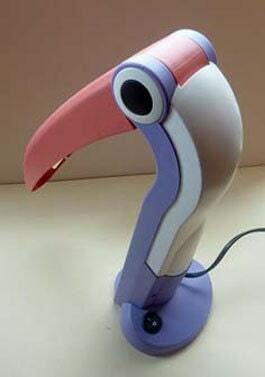 This is a very collectable and quirky toucan or pelican table lamp in the pink, lilac and white colour variation. 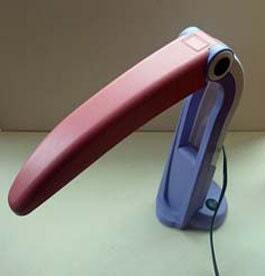 The beak flips open when in use and can be positioned at an angle. It stays true to any angle. A little black on / off button sits on the base - so you can switch on an off from your desk - or from a child's beside table. 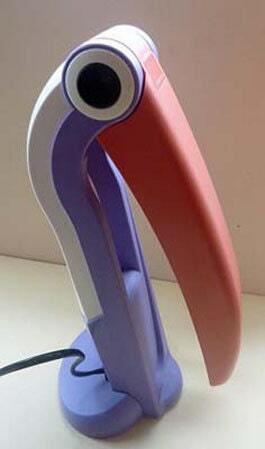 It is 35 cm in height and the base measures 12 x 12 cm. 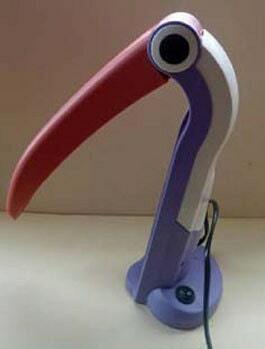 The beak length is 33 cm. A great collector's item & of course in excellent vintage condition. 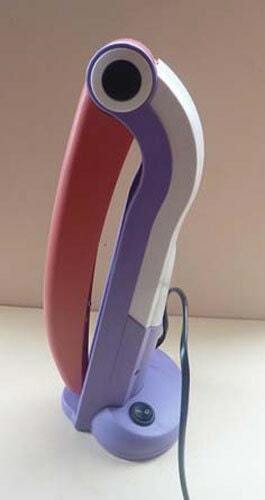 Fair asking price for this piece of Iconic 1980s design.